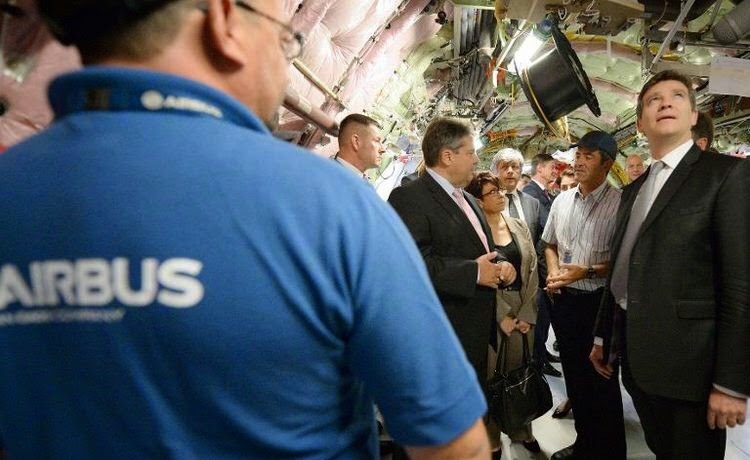 A350 XWB News: French and German Economy-Ministers visit the A350 FAL in Toulouse. 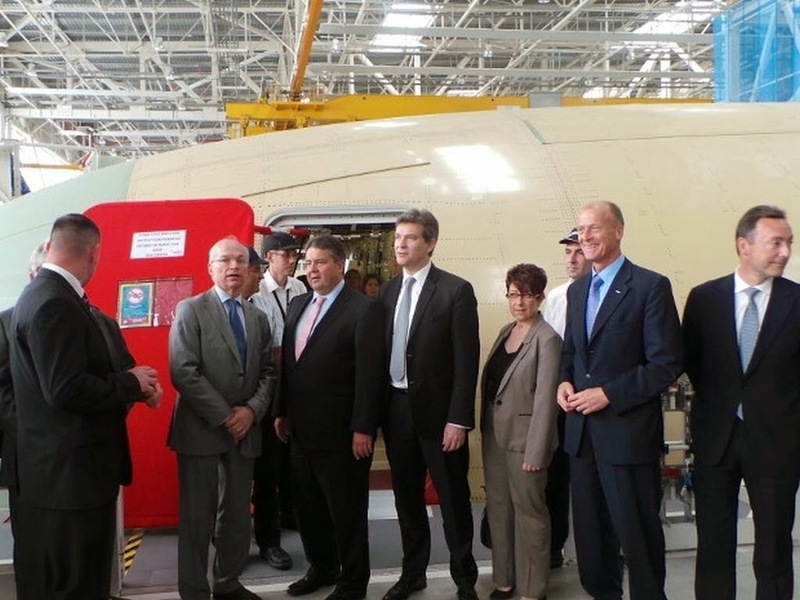 French and German Economy-Ministers visit the A350 FAL in Toulouse. 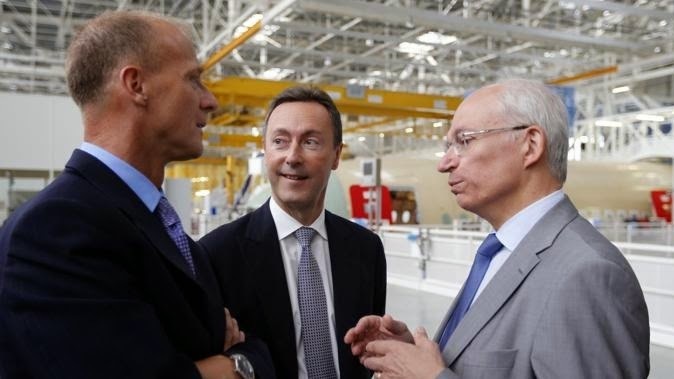 The French Minister of Economy received last week his German counterpart in Toulouse and they jointly visited the A350 Final Assembly Line. 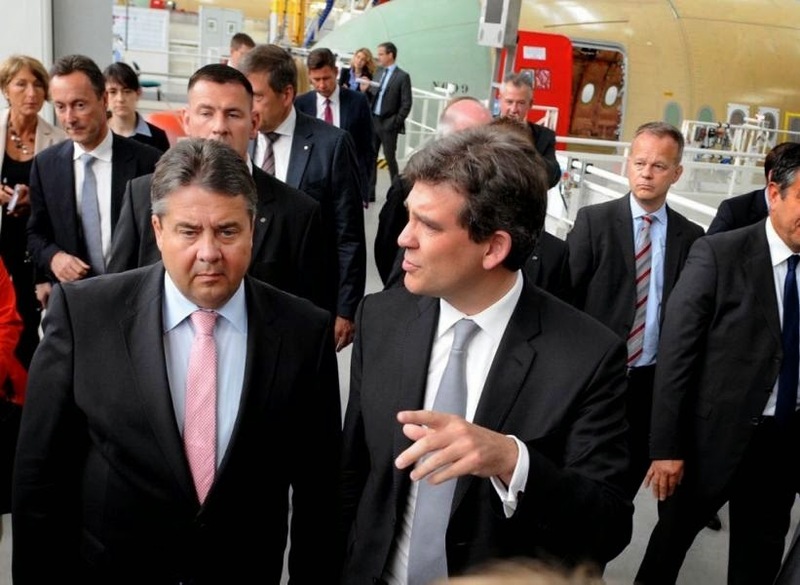 Arnaud Montebourg was accompanied by Sigmar Gabriel to "celebrate that Airbus symbolizes the strength of the industrial union of our two countries. With the presence of Tom Enders, president of Airbus Group and Fabrice Brégier, CEO of Airbus, the Economy-Ministers said: "The two Governments request the United States so that they engage in fair and just competition and not in a competition that uses billions of dollars of subsidies". They did not want to comment on the news of a birth of an “Airbus of the energy” with the join between French Alstom and German Siemens. 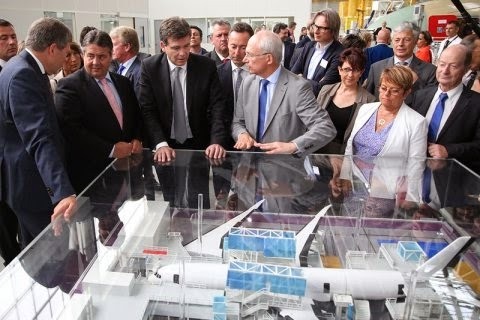 Based on the article “A Toulouse, Montebourg défend le modèle Airbus” published in La Depeche.